Effective: E1.3 – How is technology and equipment used to enhance the delivery of effective care and support, and to promote people’s independence? This in no uncertain terms refers to providers needing to make use of technology and modern equipment to deliver the highest standards of care. A bit of a plug here, but if you aren’t using a care management system or are stuck with some clunky bit of tech from decades ago, then you should give our ‘Getting Started’ page a look. Responsive: R1.6 – How is technology used to support people to receive timely care and support? Is the technology (including telephone systems, call systems and online/digital services) easy to use? Another one we help tonnes of care homes to demonstrate on a daily basis, by using Log my Care you can make sure that the people you care for get the support they need, in a timely fashion. That’s the care they need when they need it. Well-led: W4.6 – Are information technology systems used effectively to monitor and improve the quality of care? 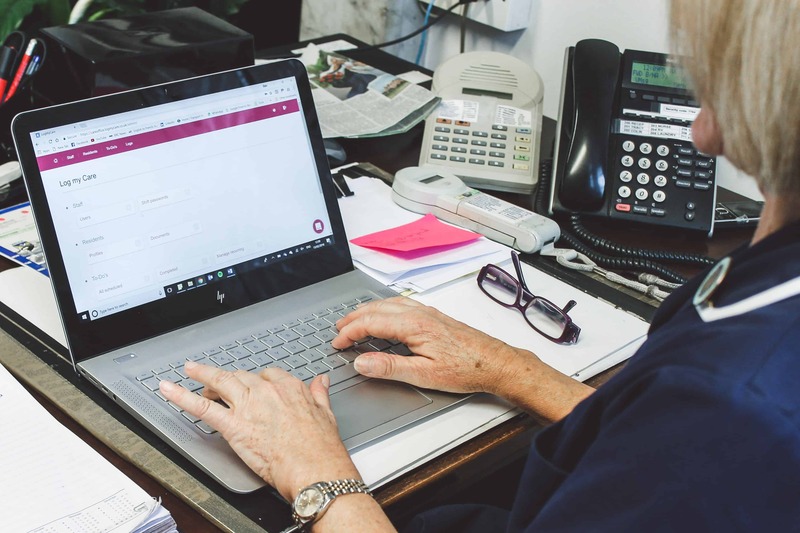 You can easily monitor care provision across the home and on a resident level, you can really dig into the data via our super simple ‘Care Office’ to help you make the right decisions in order to improve the quality of care your residents receive. Rating characteristics – Safe: S.2 Outstanding – The service actively seeks out new technology and other solutions to make sure that people live with as few restrictions as possible. There are plenty of systems on the market, but none are as new and in our opinion, are as empowering as Log my Care. We’ve got the simplest, cheapest and fastest way to help you improve care in your care home and it takes minutes to get up and running. On a serious note though, the update to the KLOEs shows CQC sticking their shoulder into a digital push which will align with their 2020 vision. If your home is still yet to take the plunge and get a care management system or move onto electronic care planning, then you really do need to think about it soon. If you’d like a bit more information then you can always have a chat with one of our team, just tap the little chat icon on the right side of your screen and we’ll get back to you in a jiffy. Oh and if you want to read the full CQC documentation, it can be found here.